With over 25 years in rescue we are proud to present Paws Inn, which opened its doors on New Year of 2000. Operating out of our home we built pens, runs and a little chalet for our future guests, and converted our old greenhouse into a shelter for our local feral colony. Of course the five star treatment didn't end there. We even turned our spare bedroom in the house into the semi-feral room! Yes indeed, we have four semi-ferals who cannot live outside to ensure they remain healthy, but have mellowed enough to allow us to live with them. Over the years we have taken in over 7000 animals, predominantly cats, nursed them back to health where necessary and then found them wonderful homes. Many of our past guests still send us news of how they are getting on in their homes! Well their humans do, but it's the same thing! Whilst there is much heartbreak in the work we do, we will soldier on in our quest to educate our communities on neutering, cat welfare and health management, as well helping the many feral colonies in our area live in a controlled and healthy environment. 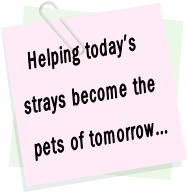 In recent years it was feared that Paws Inn would have to close it's doors forever but somehow we battled back from the brink and with the help of a small handful of loyal volunteers we continue to take in dumped, abandoned and stray cats & kittens with the ultimate aim of finding them their very own forever home. Paws Inn receives help with it's ever mounting veterinary bills from a local charity, Mid Cheshire Animal Welfare. This financial assistance has been instrumental in keeping Paws Inn up and running as without it Paws Inn would have not been able to continue - a big thank you from Paws Inn goes to MCAW. Sadly Teresa, founder of Paws Inn rescue, passed away in September 2012 - her husband Rob continues the work at Paws Inn in her memory and with the help of a handful of loyal volunteers. Paws Inn is an independent rescue and relies on the kind donations provided by its supporters, whether it be cash or supplies for the cats. We are very appreciative of any support we receive from you lovely people. Please contact us for more information on how you can help.